Ergonomically styled, the AVT offers a solid, stable surface developed specifically to help decrease vibration during measurement. 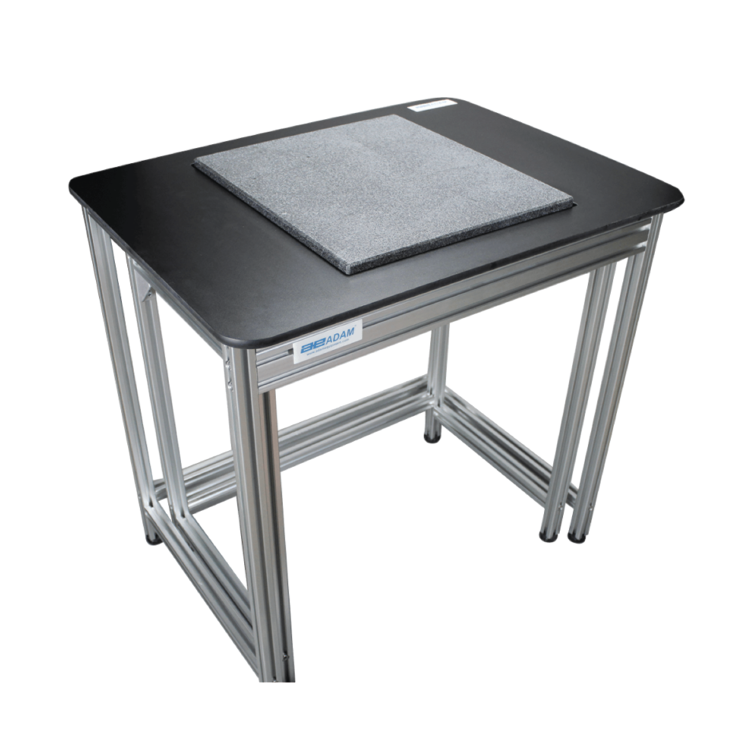 When used in tandem with a balance, the table allows the balance to perform with marked precision, despite air currents or movements that might cause readings to fluctuate. The AVT is easy to assemble, with all necessary tools supplied. The internal working surface measures 15.7″ x 17.7″ / 400 x 450mm, allowing ample space for a balance. Its large, scratch-resistant dark granite slab sits on shock-absorbing rubber mounts, while leveling feet accommodate uneven surfaces. The balance fits in the middle of the AVT’s granite surface, stabilizing the base and enabling greater precision.